Britain’s financial regulator has fined Royal Bank of Scotland and its NatWest division £14.5 million for selling mortgages to customers without properly testing if they could afford them. The Financial Conduct Authority (FCA) said yesterday that RBS and NatWest failed to ensure that advice given to customers between June 2011 and March 2013 was suitable. Mortgage affordability tests failed to consider the full extent of a customer’s budget, and the bank failed to properly advise customers looking to consolidate debt and to recommend the most appropriate mortgage term, the FCA said. Only two of 164 sales reviewed were considered by the regulator to meet the standard required. The fine deals another setback for chief executive Ross McEwan, whose efforts to turn around the bank – which is 81-per cent owned by the British government and made an £8.2 billion loss last year – are being hampered by ongoing investigations into past misconduct. “This is unacceptable and should never have happened,” McEwan said yesterday. The mortgage failures are particularly embarrassing for McEwan because, unlike other scandals like the fixing of benchmark interest rates, they happened on his watch. 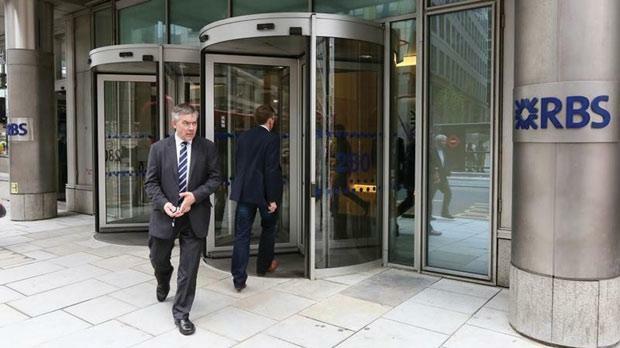 McEwan was appointed to lead RBS’s retail division in August 2012 before becoming chief executive in October 2013. RBS said that, since the end of November 2012, it had completely overhauled its mortgage sales process, re-trained all its mortgage advisers and introduced new sales procedures. “When I joined the bank we completely overhauled our processes, and took all our mortgage advisers off the front line for an extensive period of time to get the training required,” McEwan said. RBS said it would be writing to 30,000 customers who were sold mortgages during the period under review to invite them to raise any concerns about the advice they received. That raises the possibility that the bank could face claims from customers for compensation although the FCA stated that it had found no evidence of widespread detriment to customers.